Exuviance® Triple Microdermabrasion Face Polish is the most significant innovation in skin resurfacing since the launch of the Glycolic Acid peel. It’s a three-part action approach to skin renewal in a single yet powerful treatment, employing a unique blend of physical, chemical and enzyme rejuvenators for instant, dramatic skin resurfacing results. As most of you know, I live in Maine, and just went through a harsh, cold New England winter. My skin started freaking out in Janurary and I have been doing everything humanly possible to help bring my skin back to life. Now before I dig into the details, let me give you a little information about my skin. I have dry skin, with the only oily spot being my nose. Every where else I tend to get dry, flaky patches. I have slightly sensitive skin, there are a few things that bother me, but for the most part it is fairly normal. Alright, now that you know about my skin, let's talk about the Exuviance Triple Microdermabrasion Face Polish. I have been using this for well over a week now, and I have to say that I am quite impressed. I almost feel like a butterfly coming out of its cocoon. 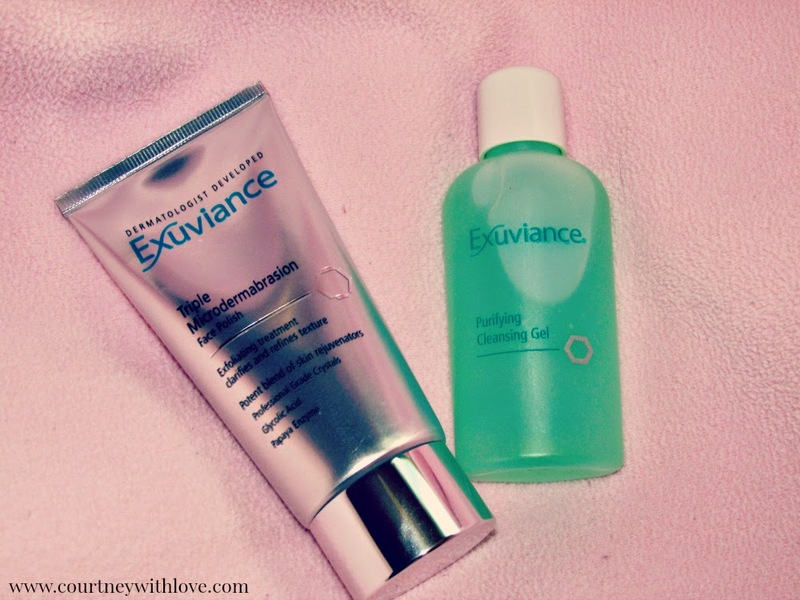 Before I begin I use the Exuviance Purifying Cleansing Gel to remove any dirt and oil on my skin. This has a very faint scent, reminds me of a aloe & cucumber product that I have. After that, its on to the next step! The face polish firstly smells incredible. Very tropical fruit scented. It has a very buttery texture, very smooth feeling. It only takes a little bit, as you use a thin layer all over your face. I massage it into my skin in circular motions using my fingertips. Gentle pressure, nothing hard. I do this for the recommended 30 seconds, then I let it sit on my skin for 2 minutes. After the time is up, I rinse clean with lukewarm water. Pat my skin dry then apply my favorite moisturizer. And I'm done! After this treatment my skin feels like I just left the salon. I love how gentle this is on my skin. I have used other types of similar products in the past, and my skin would experience some stinging during the treatment, then be bright red after. With this, it was super gentle. No discomfort at all. It actually felt quite lovely on! 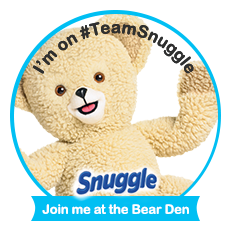 Plus the fruity scent stays on my skin for a little while, and I will catch the scent of it every so often... it smells so good! I look forward to my continued use of this, and I am excited to see what results I reach with this with use. So far I am quite happy with my initial results.